Do you have the Deep Tissue Massage A Visual Guide to Techniques textbook? See your enrollment options above for "I already own the text". 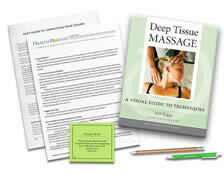 Based on Art Riggs' outstanding book Deep Tissue Massage, a Visual Guide to Techniques, this course clearly illustrates the core principles necessary to prepare the learner to seek hands-on training in deep tissue massage. It presents the author’s safe, sensitive and efficient approaches to postural analysis, treatment and exercise with numerous photos and illustrations. The textbook is relevant to any type of massage practice in any environment. It provides an excellent quick reference guide after the course is done. This course does not teach hands-on skills. Please seek additional experience, with a mentor, to add hands-on skills. A very practical and useful course for therapists who already have some experience. The text has opened my eyes to many new techniques. This course was very beneficial to me. I enjoy doing Deep Tissue work and look forward to putting this course to work. This course has defintely expanded my knowledge of Deep Tissue Massage and I look forward to using this information to help my clients. 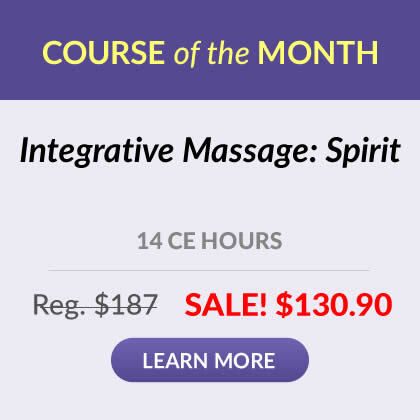 Great course, excellent subject matter, extremely interesting; you had the best and most convenient, clear online options for massage ceu credits - thank you! Very interesting to read, lots of great techniques for use in study sessions with other massage therapists, and gives great confidence when appling to clients. Solid knowledge for moving ones practive in an expansive manner. You CAN teach old dogs new tricks and this course provided a great introduction and demonstration of new (to me) deep tissue techniques. I enjoyed this course immensely. Art Riggs has much information to communicate in technique as well as business aspects. The questions were geared to help me extract the information & help me to absorb it. I really enjoyed this course. I'm confident that I will use the content to improve my technique with my clients. I love the online course and the contents of the material. Thank you. I learned a lot of information that will make a big difference. Art Riggs has prepared an invaluable book. Easy to read and understand the book and test. A great collection of knowledge that I'll refer to for many years. It will add a lot of depth to my career. A great resource book that will be easy to call on throughout the day. This is the kind of course that I will go back and re-read the manual many times. So much valuable information that I could not possibly learn it all in one reading. Great new ideas to add to my massage tool box. This course addresses causes of pain and immobility in every part of the body in a very clear, precise way. Then gives several specific positions and techniques for addressing the underlying causes of the problems. A very useful course for any massage therapist wanting to better address the numerous and common aliments presented to them. Great course.Lots of information that I can use for treating future clients! Thank you for making this so easy! I plan on reading it again! I enjoyed the way this was structured. Just when I think I have invented some amazing new technique, I find everything I have ever thought up has already been thought up by Mr. Riggs...Genius! Great book, very helpful. The text and photos helped me gain insight and understanding of the subject. I have already started implementing the different techniques taught in the course to my client's great approval. The feedback I've been getting from my clients has been nothing but positive and I even had one client I see weekly say that it felt as though I had gotten through 6 months of tightness in one session that I had previously been unable to release! I couldn't be happier with the course and the book will be an invaluable piece of reference material for my business in the future. I can't wait to jump into more of the courses offered! I will continue to advance in my approach to deep tissue. The tools in this course have not only provided the anatomy and technique required for best results in deep tissue but also included the importance of intention and confidence, that can be gained combining the two. I plan to take the challenge practicing what I have learned. it is very helpful and precise. The book is a keeper. Excellent visuals! I really enjoyed this material. It was easy to understand with very important information. EXCELENT job. Thank you. The combined review of anatomy with theory and practice of massage with photos to demonstrate proper body mechanics is worth its weight in gold. Great review for someone like myself who has been practicing massage therapy for 20+ years. Enjoy the home study as can be done at your own pace and you have the book as a reference. This course was interesting and very helpful. Offers techniques for many of the common issues we come across in our practices. Gives wonderful information on planning the session and body reading as well. The class was easy to sign up for and when talking to staff I felt supported. Yes, I’d take another class, in fact I’ll be signing up for a new one in the next couple of days. I really enjoyed the class and learned a lot. Normally, I’m old school and like/need the classroom to learn, but the text was awesome. Awesome class. Very clear and concise, with so much helpful information. My copy of the book has been highlighted and tagged more than any other course I've taken. I would absolutely take another class by Art Riggs. I really enjoyed the experience. Easy to follow and to the point. I loved this course! It was practical and so informative! I felt like it was a positive and encouraging course. This course was very helpful in my practice and answered a lot of questions for me. I was also able to learn new techniques that will enhance treatment of my clients. I enjoyed this course. I look forward to start working on part II. I gained inspiration and new ideas and new techniques. I look forward to applying this in my practice. This was by far the Best course I have taken from this website so far, and I have taken several. I would highly recommend this course. I've seen many therapist's who call themselves "Deep Tissue" therapists simply because they feel they put a lot of pressure, and I've heard many state "no pain, no gain" in regards to their approach. I've also seen many injuries result from those approaches. This course teaches the proper techniques, how to access the deeper tissue without damaging the tissues. happy to find this book. well written with great pictures. will definitely help my massage skills and confidence. This course was awesome! Definitely the best online CEU I have taken in 24 years of licensure. Loved this course! Definitely applying it in my practice. Thank you! I found this course interesting and will be incorporating these techniques in to my practice. A lot of very helpful stretching techniques and proper body mechanics shown. I'm excited to share my new knowledge with my clients! Pain in a joint will usually have the effect of sending inhibitory nerve responses to the muscles, which results in atrophy and weakness. This weakness is one reason why a minor acute injury will sometimes turn into a chronic inflammation. Simple exercises that take only five or ten minutes a day can have profound effects on alleviating knee pain. Pain in the knee may come from lack of stability and imbalances in strength between different muscles associated with stabilizing the knee joint and patella. 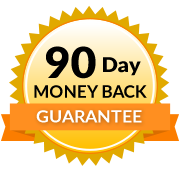 Ninety percent of the clients I see for knee pain have had dramatic improvement doing strengthening and flexibility exercises, while soft tissue work by itself, although very helpful, has not been as effective.